On April 1, humans learned that they had made their first successful communication with dolphins. Despite its peculiar timing, this scientific breakthrough is no joke. Researchers testing a human-to-dolphin translator reported that last August, they had their first effective verbal interaction with the species after a bottlenose dolphin pointed out a piece of nearby seaweed to a scientist using human-taught dolphin language. 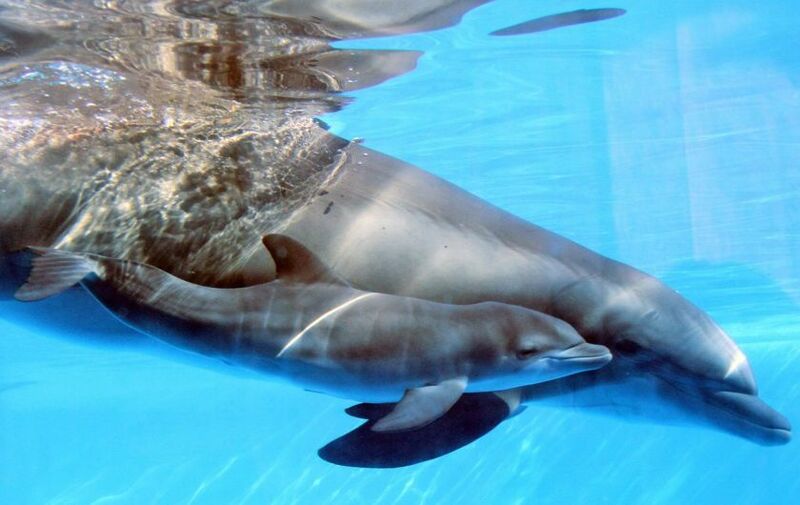 The device, called Cetacean Hearing and Telemetry (Chat), is a pair of underwater microphones that emits audio similar to dolphins’ clicks and high-pitched whistles. While the device doesn’t turn dolphin-speak into human language, it gives researchers the ability to teach dolphins words humans have made as well as detect otherwise undetectable dolphin noises, according to The Independent. “I was like, whoa! We have a match. I was stunned,” Dr. Denise Herzing, the creator of the translator and the director of The Wild Dolphin Project, told The New Scientist. Herzing has created eight “words” that use dolphin-like sounds to refer to things in the dolphin’s environment. The words include things like “seaweed” and “bow wave ride” (when dolphins ride waves created by a boat). She has been working on this communication project for the last 25 years. Over the past year, her team has interacted with one dolphin pod, playing the words to the dolphins. What’s next for human-dolphin communication? Herzing will be working with Thad Starner, an artificial intelligence expert from the Georgia Institute of Technology in Atlanta, to further develop the Chat device. They want to start analyzing dolphin sounds and create a basic human-dolphin dictionary. Her project could revolutionize the way we see the species, the ocean and, more broadly, the world. Watch Dr. Herzig’s TED Talk on Chat and dolphin communication, recorded last year. Tags: dolphins, environment, innovation, ocean, science, sea, sealife, tech, The Wild Dolphin Project. Bookmark the permalink.